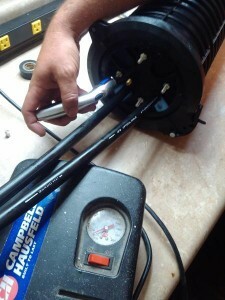 When the need arises to stay connected at home, there are some unique challenges and requirements that the typical fiber-optic installation team may not have encountered doing bigger jobs. 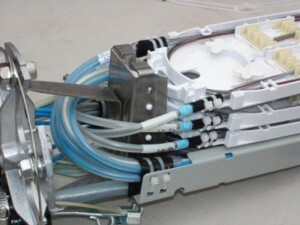 Connected Fiber is your best choice for installing and repairing the fiber-optic network in your home. Smaller enclosures require a delicate hand and a great deal of organization, which is where our attention to detail stands out. Also, home users are often more hands-off, needing their data network to operate without much tweaking, and so we design our home systems around this ideal. We also know how important it is to have an aesthetically pleasing wire configuration in your home, and take this into account when we select the color-coded enclosures for the project, and keep additional wire lengths neatly wrapped, tucked, and out of sight. We take pride in our work the way you take pride in your home, and what homeowner would frown about a fast, secure, and technologically advanced data and communications network? 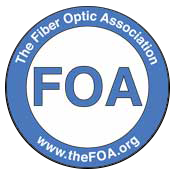 Call us now for a consultation and see what a difference fiber-optics can make when you choose Connected Fiber. 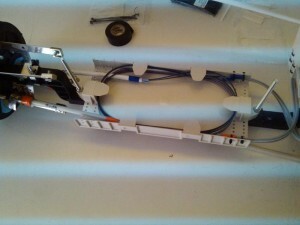 This image shows a finished product before splicing; all fiber is protected, organized and secure. This is a must have for all enclosures but particularly in underground applications and areas prone to high water. Follow manufactures specs and release pressure when the test is complete. Here is a 6×22 Coyote Dome Enclosure. 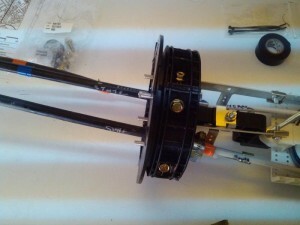 We have removed the jacket and installed directly into the dome end plate. (Our cables are blue and orange). Here is what we would include in our slack storage. Our central tubes transitioning out of storage are all marked blue and orange. 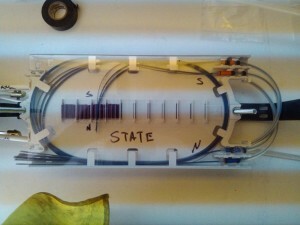 (In this image we haven’t put the last ty wraps on the central tubes yet). 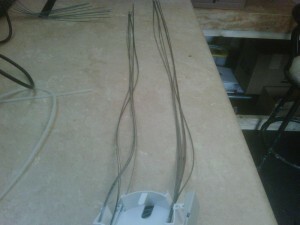 Another setup tray before we start to splice. We can have quite a bit of fiber in the tray and still present the customer with the aesthetics and organization they need. Too many times we see techs that splice their fiber in the tray and pull all slack to the basket as a result, the basket is in disarray. 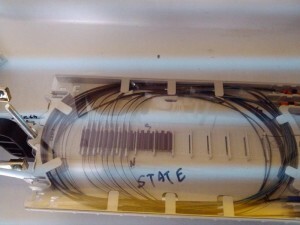 If you take the time to pre fuse your machine, correct your arc, watch you core angles and offset degrees, you can provide a quality splice that keep the tray nice and orderly with plenty of spare fiber in the tray. This is the type of quality work that we take the most pride in. We would always like more than rather than less but it has to look good, this is why we take the time to set the case up right. Quality over Quantity with Connected Fiber. Our case would not be floating if it was not water tight and sealed properly. Keep in mind it is important to secure the vault or hand hole lid in every case when leaving a location. 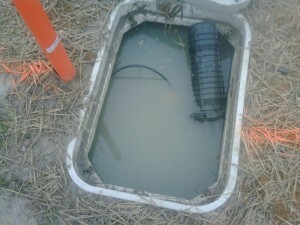 The water and enclosure can lift a lid off and upon resending leave the hole exposed and open to a potentially severe injury.